#1 New York Times bestselling author Sandra Brown is back, with a blistering story about corruption, betrayal, and the ultimate abuse of power. Five years earlier, Jay was a hero of a disastrous fire at Charleston's police headquarters, which would have been even deadlier if not for the bravery of Jay and three other city officials who led others to safety. Firefighter Raley Gannon, Jay's lifelong friend, had been assigned to investigate the fire, but the investigation ended in a scandal that shattered Raley's world, and forced him to surrender the woman he loved and the work to which he'd dedicated his life. For five years his resentment has festered, but he was helpless to set things right. That changes when he learns of Jay's shocking death. As suspicion against Britt Shelley mounts, Raley realizes that the newswoman might be his only chance to get personal vindication -- and justice for the seven victims of the police station fire. But there are powerful men who don't want to address unanswered questions about the fire, and will go to any lengths to protect their reputations. As Raley and Britt discover more about what happened that fateful day, they realize that they're not only chasing after the truth but running for their lives. 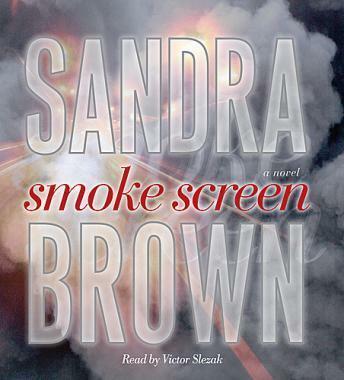 Smoke Screen is Sandra Brown's most intense novel yet. I could not put this book down. It was a great read and very entertaining.